Welcome back to Holly class page! Since being back after half term, we have continued to work hard and have been very busy doing lots of learning! The children all did a wonderful job with their book reviews of their favourite story over the half term holiday. They were very brave and came to the front to present their books and reviews for ‘Show and Tell’. 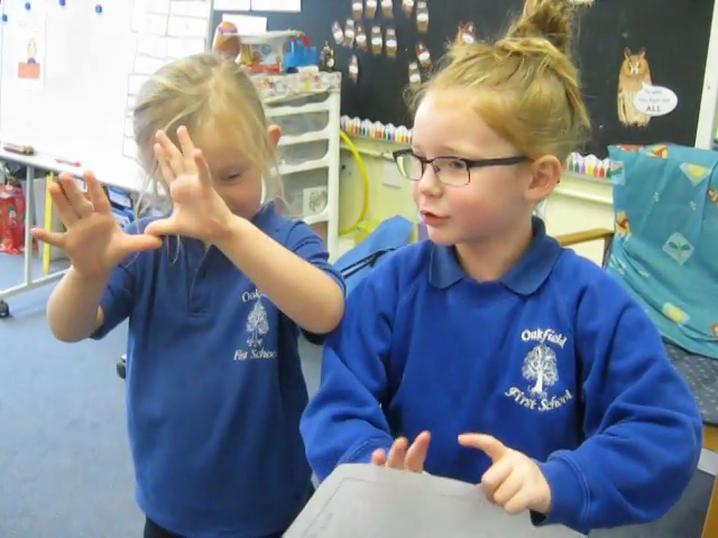 This was a great opportunity to develop the children’s speaking and listening skills as well as develop their confidence in front of their peers. Look out for another ‘Show and Tell’ task soon! We did a Design and Technology project which linked closely to English and the story of ‘The Gingerbread Man’. We read the story and then discussed what gingerbread men can look like and what we have had on one we have eaten before. With this in mind, we had a go at designing our ideal gingerbread man. The following day, we got busy making our gingerbread man, referring to our original design. Some of us decided to change our designs when we saw what resources there were on offer! The day after we took our gingerbread men home, we evaluated it. We spoke about what it tasted like, what we had changed and what we would do differently next time. In Science this term, we are learning about Seasonal Changes. We have been look carefully at what happens to the weather and in particular, what changes with the trees so we can identify what season we are in. After looking at this for a couple of weeks, the children all helped to make a Seasons display with a tree for each season using paint. The leaves, buds or weather was created using our fingers and hands! In English, we have been looking at rhyme. 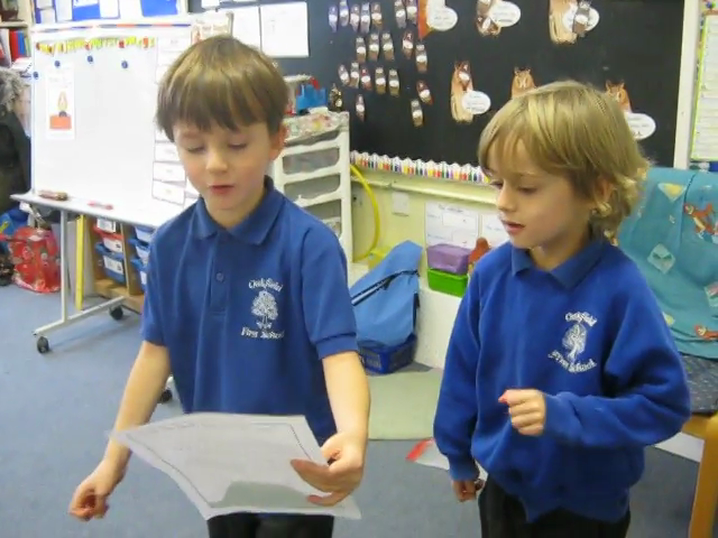 We had a go at changing some well known nursery rhymes and then performed them to the rest of the class for a Speaking and Listening exercise. Here are just a couple of examples of our great performances! We are also reading lots of well known books by Julia Donaldson, one of them being ‘The Gruffalo’. We had a go at writing some rhyming sentences using word mats with rhymes to describe the Gruffalo. The children had some great ideas and wrote some fantastic sentences in neatest handwriting. We are becoming very good at joining up our letters in the cursive script! We were lucky to have another opportunity to work with Mrs Mort and started a new project using the clay. This time we are making Christmas trees! The Christmas trees are drying in our room and will soon be going into the kiln. Once they are ready, Mrs Mort will be returning so that we can glaze them. That’s it for now! We will soon be getting into full swing with rehearsing the Christmas play and Christmas activities! Check back soon. Victorian Workshop: Children are requested to dress up in Victorian costume to get into character for this fabulous workshop day. Christmas Play: This year your child has chosen which part they would like to play. We are kindly requesting some parts to go with their costumes. Please send in to school clearly named as soon as you have them. Thank you. Homework: Reading is still a daily activity, no more than 15 minutes each night. Maths is still a quick 5 minutes each night, it could be as simple as counting to 100. Please record in the pink maths book at least once a week to inform us of what has been completed. Phonics: Each week your child will bring home a simple phonics worksheet that is intended to be no longer than 10 minutes. This is purely to inform parents of the sound/sounds that your child has been learning that week during phonics and to reinforce this at home.